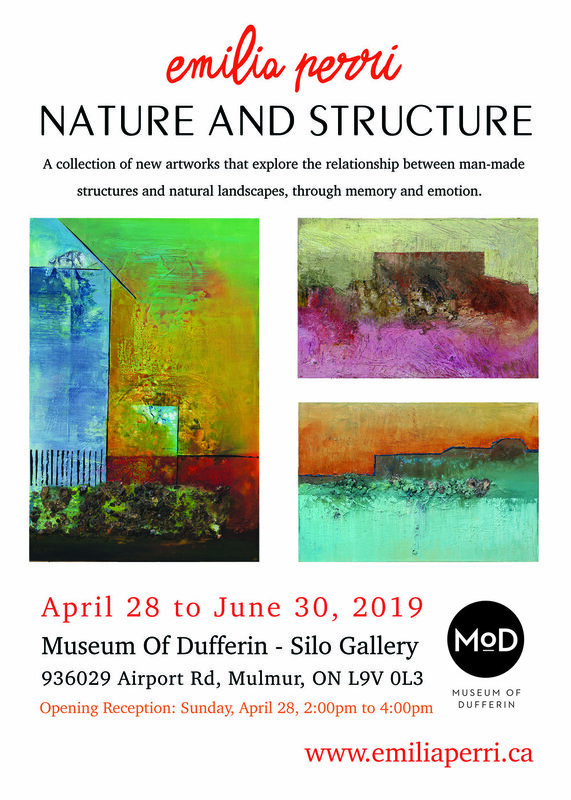 I’d like to invite you all to my upcoming art show, “Nature and Structure”, happening at the Museum of Dufferin, April 28 - June 30. 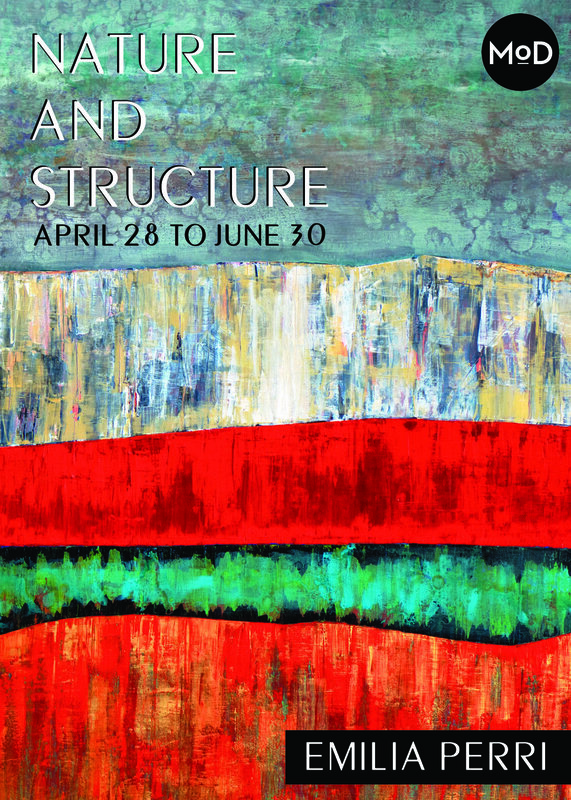 Hockley Valley artist, Emilia Perri, presents “Nature & Structure”, a collection of abstract work that explores the shifting balance between man and nature. Emilia combines layers of transparent paints and organic matter then scrapes, drips, blends, smooths, exposes and conceals to create a harmony that is unique to each work. In 2016, Emilia was the recipient of the Reed T. Cooper Bursary in Visual Art, which allowed her to travel to the Yukon. There she paddled a canoe 375 kilometers down the Yukon River and immersed herself in the wildness of nature. This Yukon experience and her recent trip to Newfoundland inspired these abstract pieces. Emilia’s paintings are luscious, colourful depictions of emotional responses to the grandeur of nature, where she contemplates our relationship to the natural world and to each other. Thank you to everyone who attended the opening of "Natural Wonder, The North"
It's a pleasure to share my work with you!